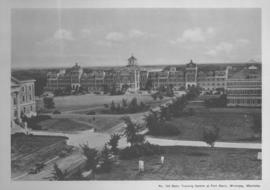 Photograph shows Canadian Pacific Railway depot and Royal Alexandra Hotel. Date of photograph is approximate, ca. 1940.